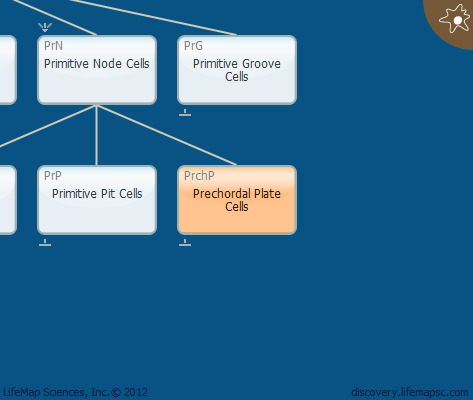 Prechordal plate cells are a group of specialized cells that migrate through the primitive node, which is located at the cranial end of the primitive streak, and give rise to the prechordal plate and notochordal process. The cells migrating most anteriorly form the prechordal plate, whereas the ones migrating most posteriorly form the notochordal process. Prechordal plate cells participate in the formation of the endodermal layer of the mouth and in regulation of events in the cranial neural tube. In addition, they are involved in signaling that affects the formation of the forebrain.